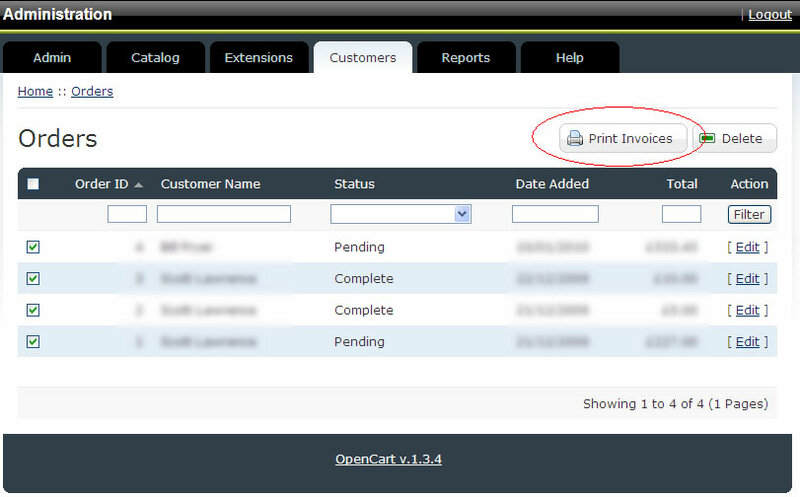 With the invoice software for OpenCart you can include an additional peel off label (or labels) with your customer addresses on to stick to your parcels or letters. Because the label is on the same document that you pick and pack from it improves the efficiency of your packing process and saves you time. 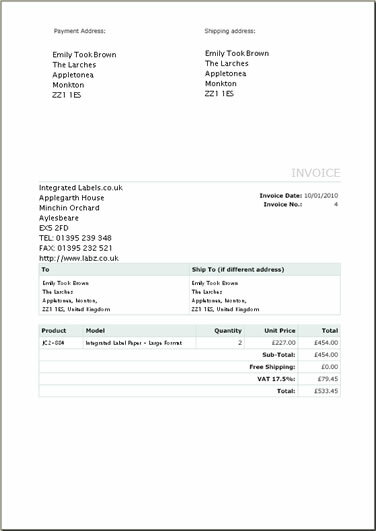 Invoices are provided for single and double label paper. If you are using double perforated paper you can tear off the top addresses section. 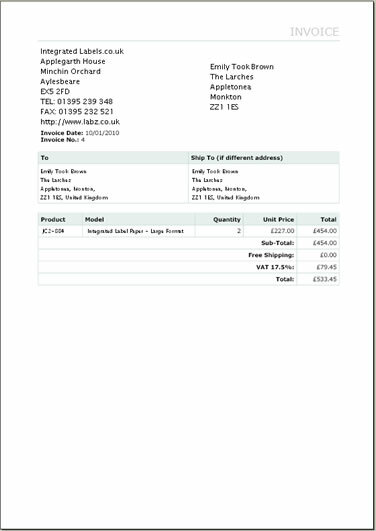 Invoice with delivery address at right right and invoice address at top left on double label paper. If using double perforated paper the top section can be removed.